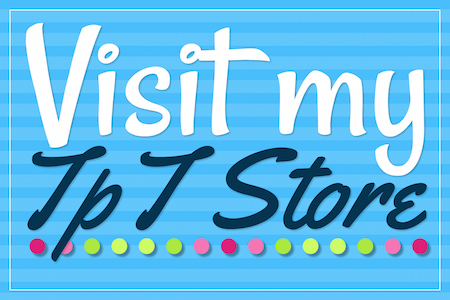 This ESL teaching resource contains everything you need to help make your English Language Learners transition into the classroom easier! 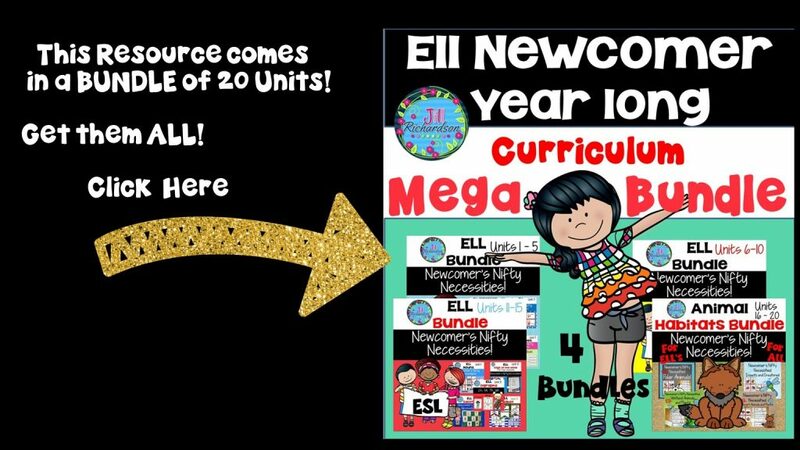 It will quickly have your students speaking, hearing, reading and writing essential Classroom vocabulary words. 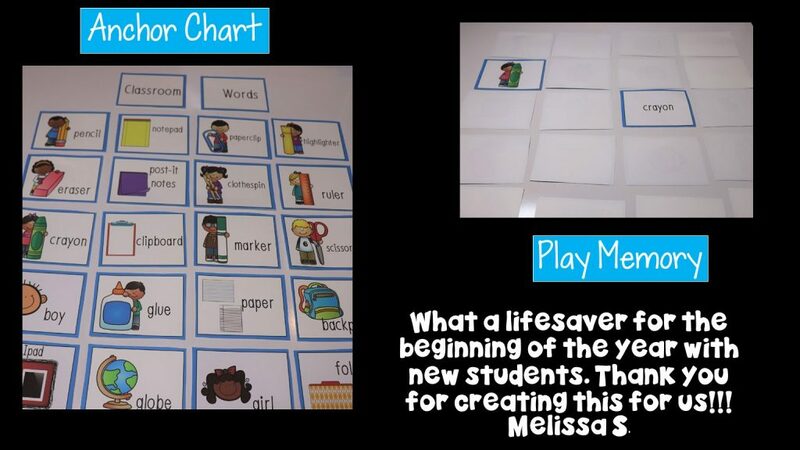 I made it when I became an ESL teacher and couldn’t find any good resources to use with lots of picture support. 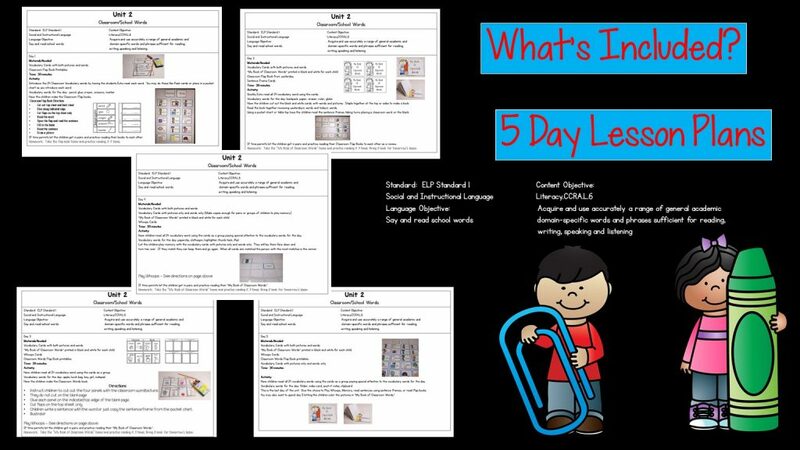 It includes 5 days of ESL lesson plans aligned to WIDA and Common Core Standards. 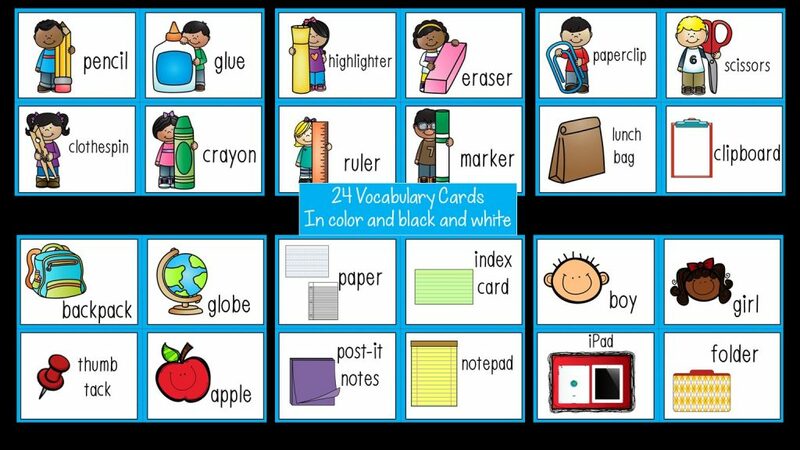 Use the 24 vocabulary cards in pocket charts or anchor charts! They come in color and black and white. 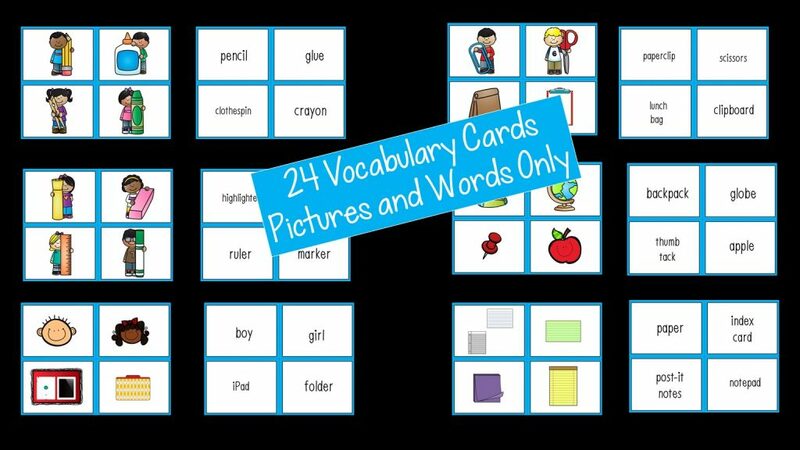 Vocabulary cards also come with pictures and words only. These can be used in many ways to play fun ELL games! Differentiate by having children match with all cards facing front or play memory for students who need less support. You may choose to have the cards above on a pocket chart to aid in matching. I see my students looking at the pocket chart to help them. 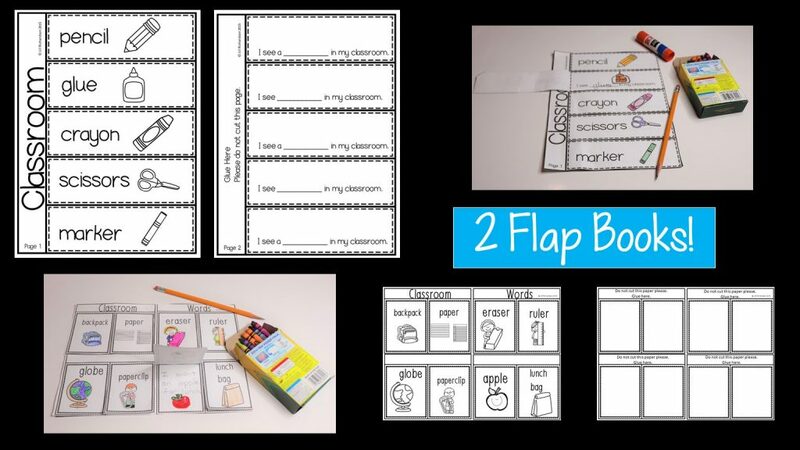 You’ll find two flap books to engage your students in a fun interactive activity. This will increase reading, writing and speaking skills! My students love making flap books. They love reading them over and over with a partner. I also send them home to practice with their parents. 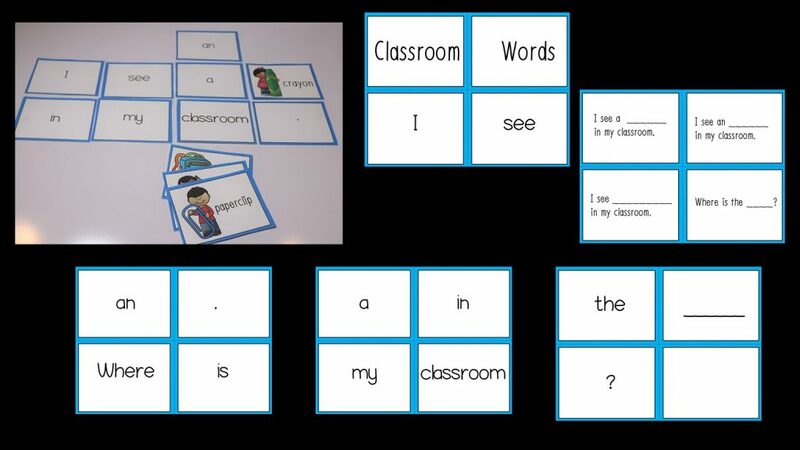 Have your students read a simple sentence frame substituting each of the vocabulary words. I find it helpful to have a buddy practice with your new ELL student. 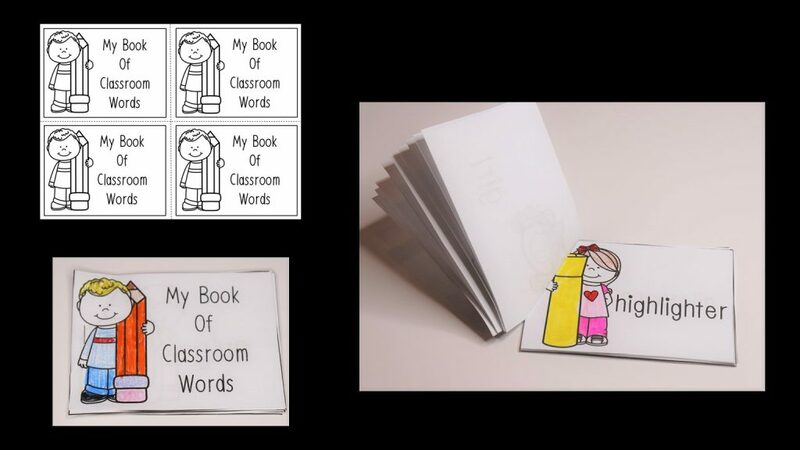 Your students will make their own “Book of Classroom Words” to place in their book boxes, practice reading with a partner or for practice at home. 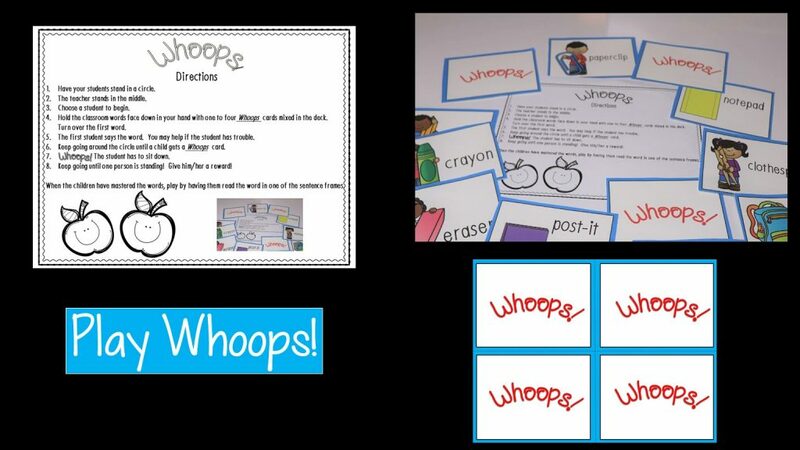 Your students will beg to play Whoops over and over! Have fun playing Memory! Use the anchor chart for support for your students!